This site is free for all to use, but its hosting plan is not free. If you like having 2RP as a resource, consider a donation - thanks! 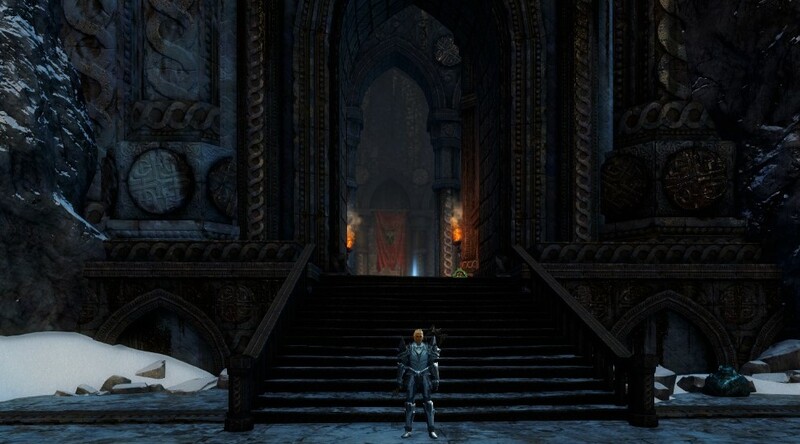 In the spirit of cultural exchange between the Durmand Priory and their newfound Elonian friends, all native citizens and foreign visitors are cordially invited to attend a festive celebration - the goal being to bring all Tyrians closer together in these hard times. 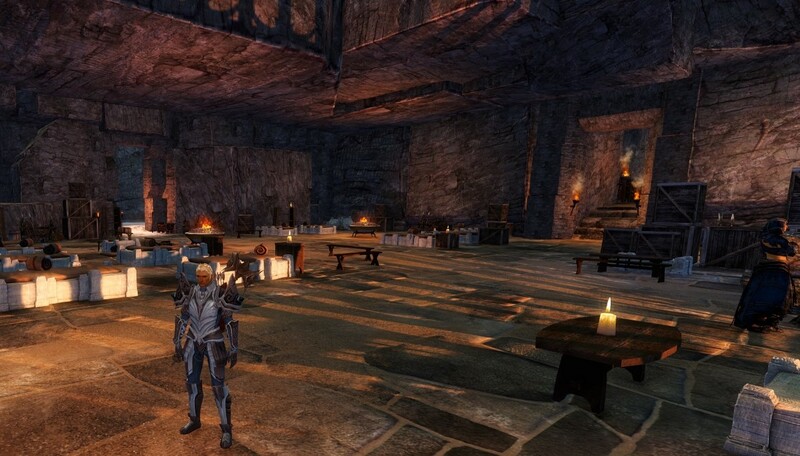 All guests are welcome to attend the festivities, however those native to Elona are encouraged especially. A number of activities will be offered to entertain guests and feast merry with a fine variety of festive food and drink. Please note that seasonal attire is not a necessity, but it is highly encouraged - particularly for those intending on entering the costume contest! 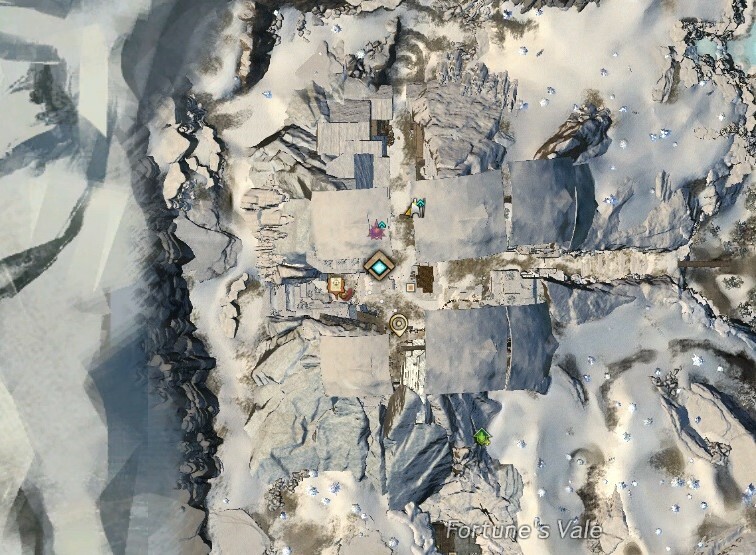 The Wintersday Festival will be held in the Dwarven Ruins of Fortune's Vale. 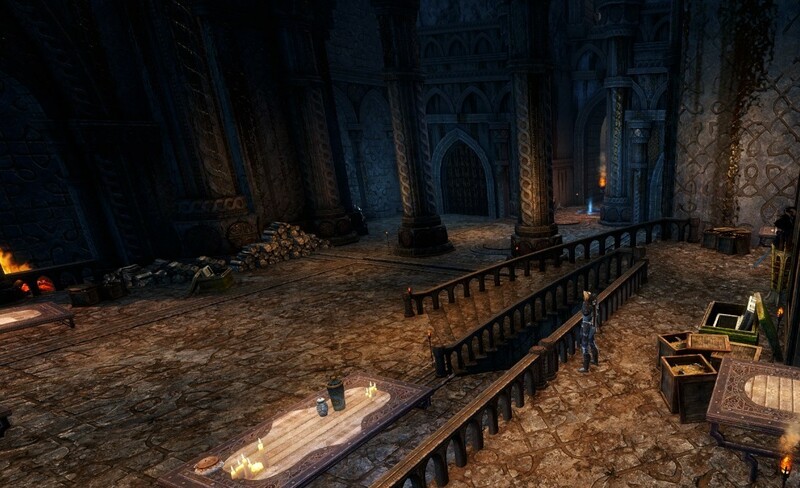 Within the ruin lies a beautiful hall where the speeches by Priestess Noor and Magister Devaulie will be given. The costume contest will also be held immediately following in this location. Once the costume contest is complete, the guests will be asked to move out to the Priory barracks, where they will be presented with food and drink, and a chance to mingle amongst one another. This will also be the location for the raffle. The raffle will be called before the Fireworks Festival. In the next room over, the Market will be held. Remember, local vendors are encouraged to come and sell their wares to benefit the refugees and most recently, the families of plague victims. No aggressive bartering. For the final celebration of the evening, the fireworks festival will be held outside so as to ensure that everyone can participate safely. Clergy of Amnoon - Priestess Farah Noor and Priestess Alexis Zahler will lead the gathered assembly in a sermon to reflect upon the tragic events that had set The Crystal Desert and Elona into turmoil over the past few months with a message of hope for the coming days and a moments silence to honour the many souls, both native and Outlanders who's lives have been lost and sacrificed so that others might live to endure another day. The Durmand Priory - Magister Rafe Devaulie of the Durmand Priory will follow Priestess Noor by delivering a small, prompt speech about the benefits of cultural exchange. He wishes to encourage the sharing of knowledge and cultural history, as well as trade of books, stories, histories and personal experiences. He would like to remind everyone that while we are all Tyrians and are often brought together in our shared fight for survival, that we can also learn to celebrate our differences and what make us unique. The Harriers - To provide security and keep the celebrations at an acceptable level, the Harriers will be present to provide assistance. The Priory is giving the Harriers full autonomy to act as they see fit to ensure that everyone is kept safe, and that no artifacts are damaged. House Thurston - With their tireless efforts to help both the natives and outlanders in these hard times, keep peace in Amnoon and support all and any additional efforts. Ambassador Ailsa Thurston and Lord Silvester Thurston simply could not pass the opportunity to assist with both the organisation of this event and by having generously supplied with their stock of fine food and beverages. Artifact Raffle - A raffle sponsored by the Durmand Priory will be held. Each raffle ticket costs 10 silver pieces. The raffle ticket may be a bit pricey, but knowing it went to help feed unfortunate refugees is invaluable. There will be three winners called at the end of the night. The Durmand Priory is happy to sponsor the prizes offered in this raffle. 1st Drawing - The winner of the first raffle drawing will receive a copy of Destiny Set in Stone: The Last Days of the Dwarves. It is signed by its author, Magister Ogden Stonehealer. A note is also included in an ancient Dwarven dialect. It surely is encouraging the reader to enjoy their prize, and not a rude message to stop asking for autographs. 2nd Drawing - The winner of the second raffle drawing will receive an authentic, unaltered map of the stars from Cantha. It includes all of the star signs, and includes the four great celestial beasts in each corner. Hai Jii the Phoenix, Kaijun Don the Kirin, Kuonghsang the Turtle Dragon and Tahmu the Dragon. Final Drawing - The winner of the final drawing will receive an authentic, working, completely safe flying carpet! The Priory is not responsible for any injuries incurred once the carpet is in the hands of the winner. Costume Contest - A Wintersday themed costume contest will be held. Guests are encouraged to dress in costume for the entirety of the Wintersday festival should they attend. The costume contest will be judged by a chosen panel of three judges, and the results will be announced before the raffle. While we encourage creative and inventive ideas from all participants, please keep in mind the festivities will eventually move outdoors, so be sure to wrap up well! The Winter Market - The market will be a unique experience for small vendors to sell wares to help benefit the refugees. Vendors will be selling books donated by the Priory, fireworks from the Lunar festival, Krytan goods, and more! All local merchants are encouraged to attend and sell their wares! But please note, the majority of proceeds must go to the Refugee fund being collected at the end of the night. See Magister Devaulie for a full list of percentages. Please note also, no sale of weapons or arms! Firework Show - To conclude the evening's events, guests will be encouraged to come outside to set off fireworks to end things on a bang. Although, any attendants are more than welcome to remain and mingle afterwards. Just be sure to avoid aiming fireworks at the Dwarven ruins or other guests! Ranging from explosive egg-nog to bountiful spiced honeymead, the buffet at this particular Wintersday Festival is an exquisite, yet extravagant arrangement of seasonal delights. Surrounding by rolling sheets of icy cloth, and sat between a pair of celestial sculptures of the Goddess of Truth, these tasty delicacies are set to be the stomach-fillers for a night of joyful revelry and peaceful exchange of well wishes. Nestled between the imported and home-made brews, where each fizzles with heat and steam, an array of silver platters present a plethora of produce - from salmon to venison; and wintery salads to a full Krytan roast and sticky steamed puddings, best washed down with a glass of glistening champagne. This particular menu is designed to be both universal and unique, a pleasant reminder of the unity but also the diversity that binds us together, on a very merry Wintersday. 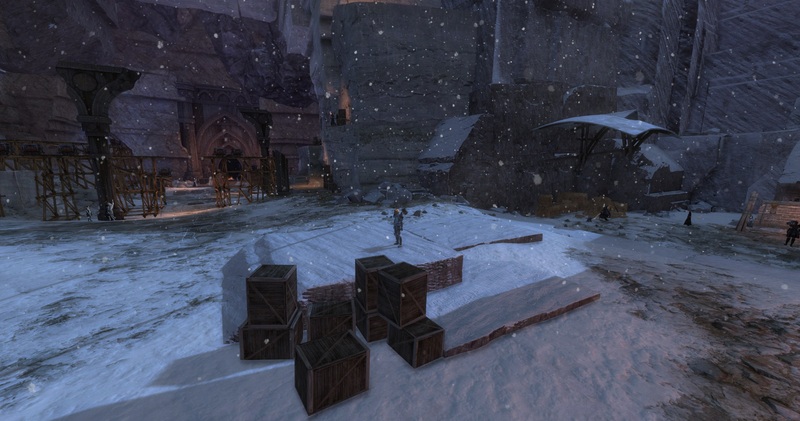 The Dwarven transport pedestal, located in Amnoon square, has been activated. Priory members surrounding it are allowing guests to walk in already. Wintersday decorations have been placed around the pedestral. 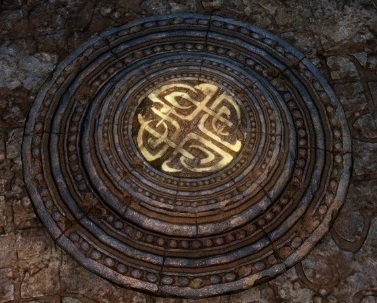 © 2011 ArenaNet, Inc. All rights reserved. NCsoft, the interlocking NC logo, ArenaNet, Arena.net, Guild Wars, Guild Wars Factions, Factions, Guild Wars Nightfall, Nightfall, Guild Wars: Eye of the North, Guild Wars Eye of the North, Eye of the North, Guild Wars 2, and all associated logos and designs are trademarks or registered trademarks of NCsoft Corporation.